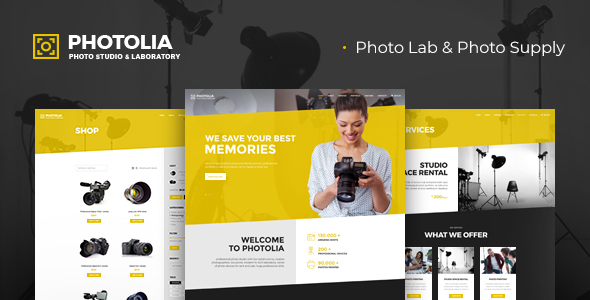 Photolia is a responsive, refined, fresh & alluring Photo Company & Photo Supply Store WordPress Theme. It has a modern and functional design made for Photography Business satisfying all of your Film, Digital Processing and Printing needs solutions. The theme best suits for Photo Lab services agency or Photo Studio firm. Also Photolia can be interesting for photographer bureau, corporate printing house, polygraphy, photo camera blog or photo contest website organization. 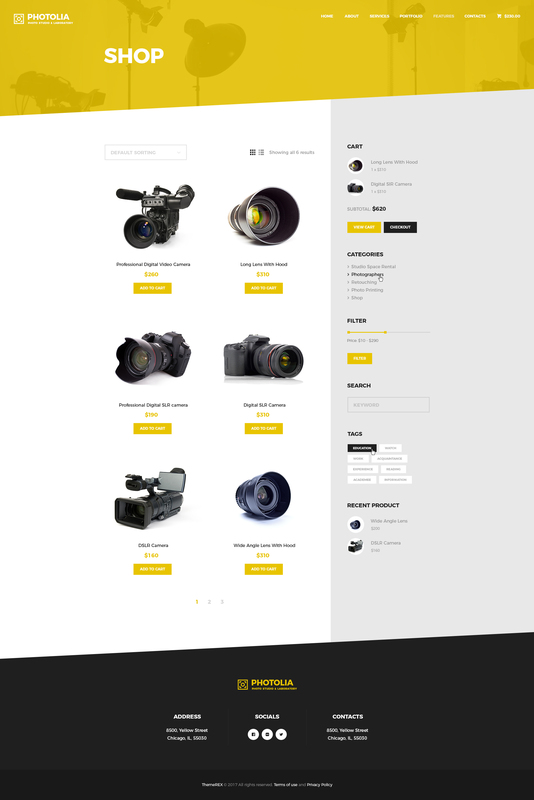 Photolia is fully compatible with the latest version of WooCommerce to allow you create photo equipment online store. The theme has an intuitive visual interface and informative layout that looks wonderful on any platform since it’s fully responsive and Retina ready. Furthermore, Photolia is compatible with a bundle of premium plugins: Revolution Slider, Essential Grid, WooCommerce, WPBakery Page Builder, to make it easy for you to setup and manage your Photo Lab website.